What if the way we must find for our lives is not an answer but a question? Predictable is the dangerous path. It’s akin to Theory U‘s downloaded path, to Mindfulness’ autopilot. I’ve noticed how I miss so much because of the speed at which I move through life with predictability. 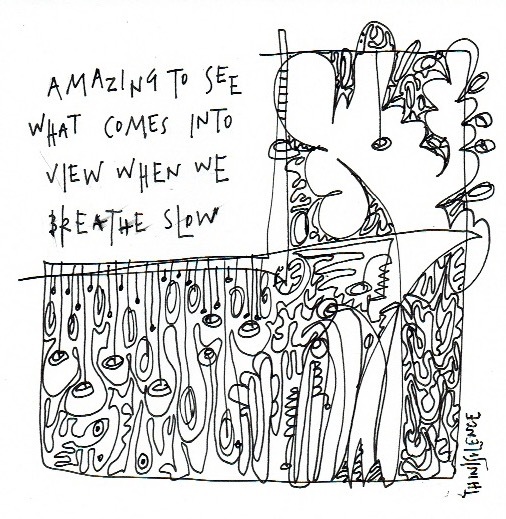 I try to slow down in order to notice more – three or four slow breaths now helps me to stop the rush. Seeing our lives as stories lived around questions is about drawing lines through the randomness and complexity of life. Predictability hates questions because they enable us to see our lives for what they can be rather than what they are.